Right To Ride has responded to the Department of the Environment’s (DOE) consultation paper, “Preparing a ROAD SAFETY STRATEGY for Northern Ireland 2010-20 20/20 Vision: Driving Forward Road Safety”. The consultation seeks to improve not only motorcycle safety but safety for all road users. We generally agree with the positive spirit of the consultation paper, but we have concerns about some of the action measures. We have welcomed the “consideration” of a motorcycling safety strategy for Northern Ireland and the establishment of a Motorcycle Forum which would consider an inclusive and strategic approach to motorcycling. The consultation sets out several possible measures that would be considered, investigated or introduced. These include a proposal to introduce different speed limits for motorcycles; improving safety for motorcyclists through technology and further research; measures to increase the visibility of motorcyclists e.g. through the use of fluorescent strips on jackets, helmets etc; promoting the use of high standard motorcycle protective wear; introducing a statutory requirement for vehicles over testable age to hold a valid test certificate at all times unless excused under limited exemptions. The proposal to introduce different speed limits for motorcycles is in our view, ill conceived and dangerous and will put riders at risk. Further research to ensure the safety of motorcyclists is welcomed however there has not been sufficient attention given to improved training for other vehicle users and motorcyclists. Mandatory fluorescent strips, these are given as examples which would imply other measures may be considered as well. There is no reliable evidence available to demonstrate that high visibility jackets or fluorescent strips make any difference in reducing motorcycle crashes. The majority of riders in Northern Ireland recognise that personal protective equipment may help to reduce injuries and death. Accordingly riders have purchased protective clothing worth hundreds of thousands of pounds. This measure would need to focus on relevant information such as the SHARP helmet standards. The voluntary development of technology by manufacturers enhances production and consumer choice. However we question the value of mandatory “safety” technology as this would stifle innovation and progress. The introduction of a statutory requirement for vehicles over testable age to hold a valid test certificate at all times unless excused under limited exemptions. Right To Ride disagrees with this, if we understand this action measure, a vehicle would need to have a test certificate if not used on the road. But a SORN (Statutory Off Road Notification) declaration may have been made, so this seems an attempt to get money from classic vehicle owners or those who collections of vehicles, rather than for safety purposes. With huge cuts in the Northern Ireland budget, that will affect government departments, the implementation of a road safety strategy must be relevant, reliable and cost effective. Focus should be on involving local stakeholders and a joined up campaign to get the message through to Northern Ireland road users. Money wasted on useless shock, horror campaigns, websites that are never updated and (expensive) external consultants could be better spent by tapping into the wealth of knowledge of local experts to find appropriate solutions to reduce casualties on the roads of Northern Ireland. Road Safety Consultation – What’s In It For Motorcycling? The Department of the Environment’s (DOE) Minister, Edwin Poots has launched the DOE’s consultation paper to prepare a new road safety strategy for Northern Ireland which will cover the years 2010 to 2020. The Minister said: “Improvement is also necessary to reduce injuries to older pedestrians and motorcyclists and to deal with the increased risks faced by children in areas of deprivation. To be effective a new strategy must tackle these issues. So what’s in it for motorcycling? 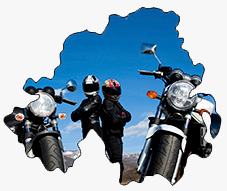 The establishment a Motorcycling Forum, which will consider an inclusive and strategic approach to motorcycling. Consider the development of a motorcycling safety strategy for Northern. Consider the needs and vulnerability of motorcyclists when designing new roads and implementing safety measures on existing roads. Consider provision of specific route treatments for popular motorcycle ‘runs’ such as motorcycle ‘friendly’ barriers and additional signing. Investigate development of additional signing systems to warn road users of the possible presence of motorcyclists ahead. Undertake studies to measure the road safety improvements resulting from resurfacing, surface dressing and other maintenance operations. Seek to work with partners in promoting work on technologies to improve motorcyclists’ safety. Supporting GB in working towards appropriate EU vehicles regulations. Consider measures to increase the visibility of motorcyclists e.g. through the use of fluorescent strips on jackets, helmets etc. Assess the potential for introducing different speed limits for motorcycles. Right To Ride’s Trevor Baird says, “While agreeing with the positive spirit of the consultation paper, we have concerns on the delivery of some of the options such as Hi Viz jackets and reflective strips, and vehemently oppose any introduction or even assessment of the potential for introducing different speed limits for motorcycles which we assume aims to be lower than other vehicles. Motorcyclists in Turkey have suffered from different speed limits compared to other vehicles for example on motorways the speed limit for a motorcycle is 50mph while for a car 75mph – bus 62mph – Trucks, Mini-buses, Pick-ups 56mph. In Switzerland the government proposed plans to technically limit bike speeds to 80kph (50mph) on motorways. Restricting one form of transport over others is inherently dangerous and totally uncalled for, because it would inhibit the free flow of traffic and in the case of overtaking, it could actually create the potential for collisions, not to mention frustration for other drivers. 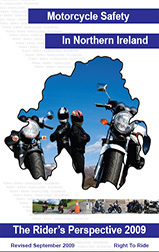 Right To Ride has had constant dialogue with Northern Ireland officials and introduced our published “Motorcycling in Northern Ireland – the Rider’s Perspective”, a document which goes beyond the proposals put forward in the consultation and offers the views of motorcyclists as a point of reference for a Motorcycling Strategy in Northern Ireland. 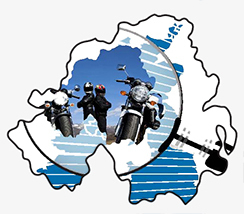 We can only hope that a motorcycle forum will guide any development of a motorcycle strategy with sensible, constructive input from riders, offering sound and proven expertise to guarantee the future of motorcycling in Northern Ireland. The Minister at the launch of the consultation on developing a Road Safety Strategy for the next decade encouraged the people of Northern Ireland to share their ideas on how to make our roads safer. 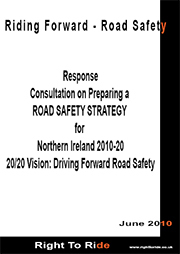 Views have been invited on preparing this new road safety strategy for Northern Ireland that will shape the way ahead for safety on our roads over the next decade. The Consultation will run from 16 March until 15 June 2010. 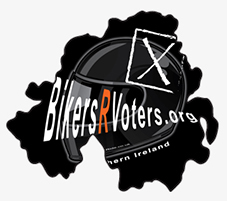 Right To Ride will be replying to the consultation in full, the people of Northern Ireland have been invited, so now is your chance as a motorcyclists to have your say. 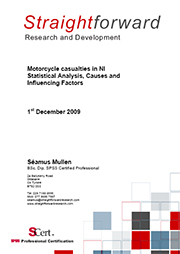 There is an brief online questionnaire and supporting documents which includes a supporting report – Motorcycle Casualties in Northern Ireland – Statistical Analysis, Causes and Influencing Factors – this document includes the analysis of the DOE survey conducted amongst riders in 2009. Click Here pdf 4mb – for this document. See Right To Rides comments on this report below – if you didn’t get the chance to complete the survey now is the chance to comment on the recommendations of the report. Right To Ride in 2009 published the Motorcycle Safety In Northern Ireland – The Rider’s Perspective Click Here which goes beyond the proposals put forward in the consultation and offers the views of motorcyclists as a point of reference for a Motorcycling Strategy in Northern Ireland. We would be very interested in viewing your responses so that we can built up our own overview of your opinions regarding motorcycle safety. Please send these to info@writetoride.co.uk or leave your comments below. Generally the consultation proposals are positive for motorcycling with one or two very important exceptions. In this section we have included the main motorcycle specific issues which you may want to respond to. In italic – are our concerns on the delivery of some of the options. 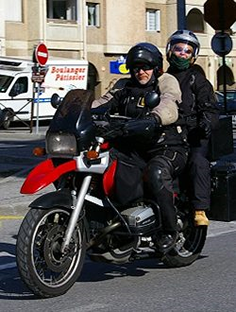 The establishment a Motorcycling Forum, including a range of stakeholders, which will consider an inclusive and strategic approach to motorcycling. Consider the development of a motorcycling safety strategy for Northern Ireland in partnership with other key stakeholders. Introduce an Approved Motorcycle Instructor Register (AMI) and Compulsory Basic Training (CBT) for motorcyclists and will ensure that all new motorcycle provisional licence holders undertake basic training. Consider amending the licensing system to prohibit provisional driving licence holders from riding motorcycles unaccompanied. Promote the use of high standard motorcycle protective wear. Introduce any appropriate measures or initiatives arising from our ongoing research on motorcycling and children’s road safety and disadvantage. *The UK is one of the few EU Member States that permit unaccompanied riding of a motorcycle on a provisional licence. Allowing unaccompanied riding in the UK is potentially in contravention of the EC 2nd Directive and Government is currently considering reviewing the matter. *The aim of the PISa project is to develop and implement “reliable and fail-safe” integrated safety systems for a range of Powered Two Wheelers (PTWs), which will greatly improve the performance and primary safety (handling and stability) and can link to secondary safety devices. The objectives of this report were to identify the likely causes and influencing factors of motorcycle casualties and collisions through an in depth investigation of relevant statistics and rider and other drivers’ behaviour and attitudes. The project also aimed to recommend appropriate action measures to reduce casualty numbers and generally the report is well balanced and in certain respects forward thinking. 16% (n.151) of respondents indicated that they have ridden their motorcycle after having one alcoholic drink, 2% after having 2 drinks and less than 1% after having had three drinks. 20.5% (n.34) of those riders who have ridden after having one alcoholic drink have been involved in collisions in the past three years and 64.9% involved in near miss collisions”. The units of alcohol consumed in “one drink” may vastly differ depending on the alcohol consumed, but the concern is the correlation between having one alcoholic drink and being involved in an accident over the last three years. This appears to be an attempt to extrapolate conclusions beyond a direct analysis of the data, although in the small print, the document carries a caveat “This cross tabulation is not intended to suggest that alcohol was a contributory factor to the collision or near miss in which the motorcyclist was involved”. Indeed, there is no evidence of a correlation of the rider drinking any alcohol prior to having an accident. Furthermore if 64.9% of those having had one drink before riding and possibly being involved in near miss collisions – this suggests that they were alert enough to get out of a critical situation and thus in full control. This type of analysis is a distraction to far more important issues concerning the vulnerability of motorcyclists. What the findings actually suggest is that the majority of riders are fully aware of the dangers of riding a motorcycle after consuming alcohol and this is also indicated in their responses on page 70. “Of those who indicated that they had consumed one drink prior to riding their motorcycle, 94% said they would rarely do this”. If the author states that the cross tabulation is not intended to suggest that alcohol was a contributor factor to the collision or near miss, why then include it in the recommendations ? “Point 7 – Motorcyclist road safety messages should raise awareness of the impact that alcohol can have as a causation factor given the percentage admitting to riding after one drink and the percentage of single vehicle collisions caused by alcohol impairment”. Between 1998 and 2007, the number of fatal and fatal and serious injury motorcycle collisions as a proportion of the total number of collisions in Northern Ireland has increased, rising from almost 8% to almost 25% for fatal collisions and from 7.7% to 15.4% for fatal and serious injury collisions. Over the same period the number of licensed motorcycles as a proportion of the total licensed vehicles has increased from 2% to 3%6. Less than half (46.4%) of fatal and serious injury motorcycle casualties were responsible for the collision in which they were involved. Overall, less than 32% of all motorcyclist casualties were responsible for the collision. The biggest proportion of fatal and serious injury casualties were aged 17-24 (31%), followed by those aged 25-34 (26.6%). 21% of motorcyclists involved in fatal and serious injury collisions were ‘L’ drivers (33% of all collisions). A wide range of data was gathered from a questionnaire administered to motorcyclists which considered experience, motorcycle use, training, risk, collision history etc. An understanding of drivers’ behaviour and attitudes was also gained through a questionnaire. Perceptual skills in relation to motorcyclists, driving behaviour in general and empathetic/negative attitudes were tested in this survey. A number of stakeholder meetings and focus groups were also held to further discuss and explore the findings of the research and develop recommendations. A number of recommendations have been proposed to address the wide range of issues found. Significant emphasis should be placed on efforts to reduce motorcycle collisions where other road users are emerging from minor roads and where motorcyclists have excessive speed with regard to conditions. Road safety messages for motorcyclists should be targeted to the 17-35 and over 55 age categories given their overrepresentation in the demographic profile of involvement in collisions and responsibility for the collision in which they are involved. Road safety messages should focus on rider and other road user responsibility. The vast majority of consultees believe that other road users are responsible for the majority of collisions – this is the case in ‘slight injury’ collisions. However rider responsibility increases with severity of the collision. Messages should be directed towards motorcyclists to reinforce the fact that in 2 out of every 3 fatal collisions, the rider is responsible. Collision Report Forms should be amended to enable investigating police officers to more accurately record the combination of causation factors leading to a collision. Consultation with stakeholders showed that few Road Traffic Collisions have one causation factor. In many cases collisions are cased by a sequence of events and/or a combination of causation factors. It is also recommended that Collision Report Forms include increased background data on the casualty and the motorcycle they were riding. Increased background and causation data would enable more informed analysis for primary stage prevention of Road Traffic Collisions. Consultation with the NI Ambulance Service highlights that there exists an opportunity to analyse the ‘patient pathways’ of motorcycle casualties following collisions. This would enable more comprehensive understanding of the long-term impact of motorcycle collisions on individuals, families and society at large. It would also contribute to the capacity to understand ways in which to reduce the severity of injuries suffered by casualties as a result of the collisions. Motorcyclist road safety messages should raise awareness of the involvement of motorcyclists across all spectrums in collisions and near misses. The widely held assumption that involvement in collisions is limited somewhat to ‘weekend warriors’ is not supported by this research. Those who ride their motorcycles more frequently for commuting to and from work, at work and professionally are equally (or more) likely to have been involved in collisions than those who ride only at weekends. Motorcyclist road safety messages should raise awareness of the impact that alcohol can have as a causation factor given the percentage admitting to riding after one drink and the percentage of single vehicle collisions caused by alcohol impairment. There is an overwhelming degree of support for the introduction of Compulsory Basic Training among the motorcycle community and industry. Legislation should be put in place to introduce CBT as a matter of urgency. Motorcyclists holding provisional licenses are over-represented in the collision data for the 10-year study period. Government should consider the reasons underlying this over-representation and where possible implement policy to bring NI into line with other Member States throughout the EU. Response from stakeholders suggests that there is a significant degree of support for the introduction of measures which would be covered by the 3rd Directive – for example progressive licensing, restrictions on cubic capacity as well as brake horse power, progressive training and direct access where appropriate. Government departments should explore the potential to include motorcycle awareness in the car driving test. 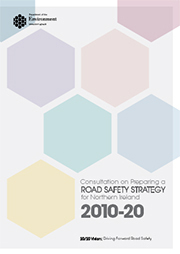 The majority of respondents to the research suggested that training and awareness for other road users was the number one priority in reducing the number of motorcycle collisions in Northern Ireland, followed by further promotion of voluntary and advance motorcycle training, and awareness advertising. 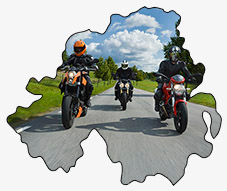 The extent of and membership of the on-line motorcycling community presents a significant opportunity for the use of innovative marketing and promotion techniques to communicate road safety messages to motorcyclists throughout Northern Ireland. More proactive advertising could focus on increasing other road users perceptual skills, empathy for and knowledge of motorcycling. 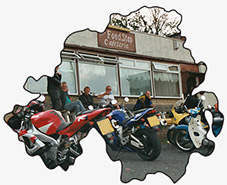 Respondents and stakeholders suggested this should build on positive promotion of motorcyclists and motorcycling (enjoyment of motorcycling and profiling as responsible road users), perhaps within the context of a Bikesafe assessment to also reach motorcyclists who are reluctant to come forward for such assessment. There was a strong level of support for rerunning and building upon the ‘Underneath’ advertisement to tackle the level of dehumanisation of motorcyclists. Road safety messages should highlight that participation in voluntary training/assessed rides can help to reduce rider responsibility in collisions. More effective promotion of such training/assessment could increase the proportion of motorcyclists participating as almost half of respondents said they did not know about the training, or thought it was too expensive. There was a significant level of support for increasing the promotion and saturation of training within the motorcycling community. Consultees believe that this should be taken to a different level and included at point of sale for all new and repeat purchasers throughout Northern Ireland. This would require policy level support and widespread support from manufacturers/importers. More innovative approaches to rider training should be explored by the motorcycle community and supported by government departments. For example the promotion of rider skills days and motorcycle safety simulator training in association with the emergency services and motorcycle dealers. Respondents suggested that further work should be undertaken to explore more widescale incentivisation of training throughout the insurance and dealer industry in Northern Ireland. As the number of motorcyclists in Northern Ireland increases, other road users should be made aware of their possible presence – either by increasing publicity campaigns or develop and deploy additional signing. Enforcement of motorcycle restrictions for those who have recently passed the motorcycle test. This should include implementation of innovative techniques to enable police to identify restricted machines more easily, and implementation of policy to ensure motorcycle dealers take a responsible approach to sales and servicing of restricted machinery to restricted riders. There was an almost unanimous feeling among all stakeholders and some questionnaire respondents that this is an opportune time to look at the development of a multi-disciplinary Motorcycle Stakeholders Forum. Consultation with stakeholders also confirmed that the Forum should include a wide cross-section of the motorcycle community and industry and all sections of the emergency services should be involved the development and implementation of a motorcycle stakeholders forum. This would enable a more holistic picture of road traffic collisions from the initial influencing factors through to the, sequence of events during and immediately after the collision, and also the patient pathway taken in the months and years following motorcycle collisions. The Motorcycle Forum should have a role in advising on policy direction, strategy and dissemination of key road safety messages throughout the motorcycle community. 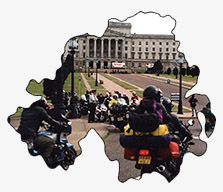 The group should be instrumental in the creation of a ‘Motorcycle Safely Strategy’ for Northern Ireland.